As part of my research on leadership for our Coaching Workshops, I met with several Houston-area entrepreneurs to determine what a CEO wants in a CFO. One of the last people I met with made a comment that I felt summed up all the things the CEOs were looking for. He said he was basically looking for a wingman. What does it mean to be a wingman? So to paraphrase, the wingman’s job is to support the leader by helping to assess the situation, take out obstacles, and adapt to change which improves the ability to achieve goals and mitigate risk. 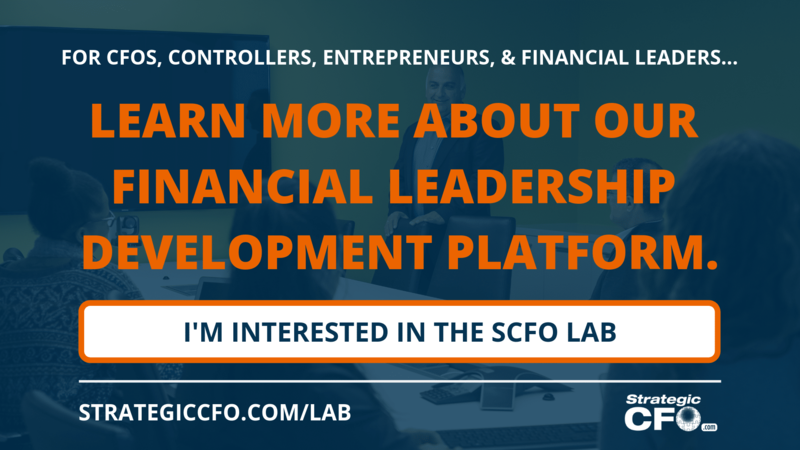 CEOs want a CFO who help them determine the “lay of the land”. Often, they do this by projecting financial needs, modeling new ideas or preparing “what if” scenarios. They work within the organization to build relationships with other functional areas and determine what their needs and opportunities are. They also represent the company externally to bankers and investors to determine what opportunities the company has for growth. A CFO wingman helps bring clarity to the situation so that better decisions can be made. CEOs are excellent at developing new ideas. CFOs are excellent at identifying problems. What some CFOs fail to realize, however, is that the CEO looks to them to provide solutions rather than to simply point out how things can go wrong. A CFO wingman doesn’t shoot down each new idea, but looks to find a creative way to make the idea work in a financially sound way. Most CFOs react to change by seeking to stabilize the environment. Since most CEOs are great initiators of change, this can lead to frustration on both parts. One way a CFO can avoid the frustration is to be a sounding board for new ideas. If the CFO is part of the vetting process, he or she will not only be more likely to be on board with the new idea but will also be able to guide the creative process in a way that ensures a greater degree of success. As a result, the CFO develops a better understanding of company goals and is more comfortable contributing their own ideas on how to grow the company. A CFO wingman realizes that the best way to address change isn’t to fight it, but to adapt to it. The goal for most CEOs is to grow the company profitably. CFOs can help their organization reach this goal by cutting costs, improving productivity, and assisting in developing sound pricing strategies. 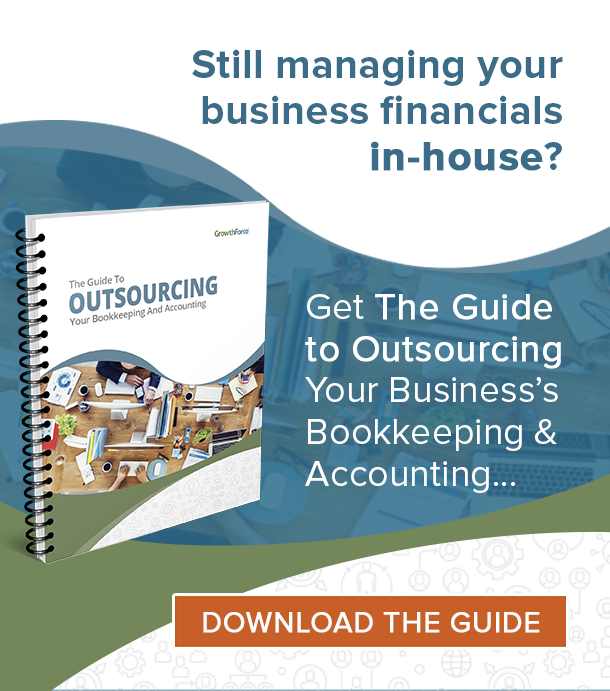 Since the CFO has control over most overhead costs, they usually are very skilled at cost cutting. CFOs looking to improve productivity can often make the most impact by helping to determine what the companies key performance indicators are and developing reports to track these KPIs. The area outside of most CFO’s comfort zone is pricing. Often, prices are set with input from sales and operations without consideration of the company’s economic model. The CFO can provide this vital information to ensure that the prices set will result in profitable sales. A CFO wingman shares the leader’s vision and helps him or her achieve it. 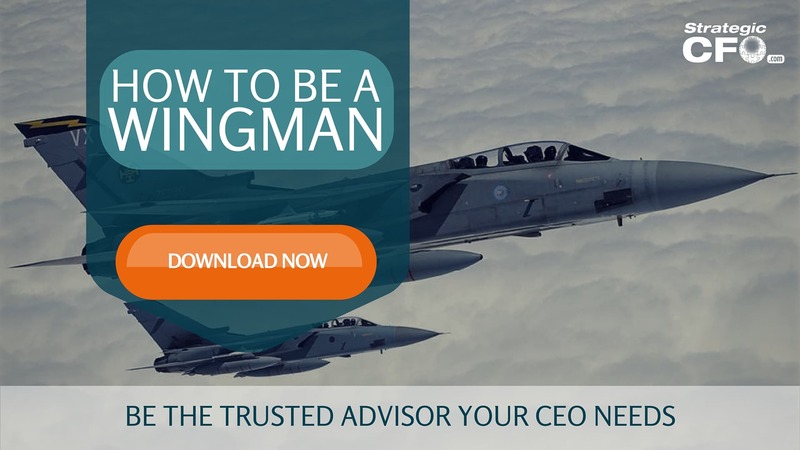 What are some of the things you think a CFO wingman should do? Download our free How to be a Wingman guide by clicking the link below. Take your career to the next level and step up into the trusted advisor role. 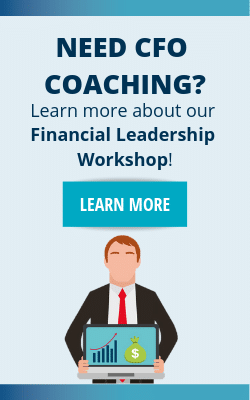 Learn how to become your CEO’s wingman with CFO Coaching.